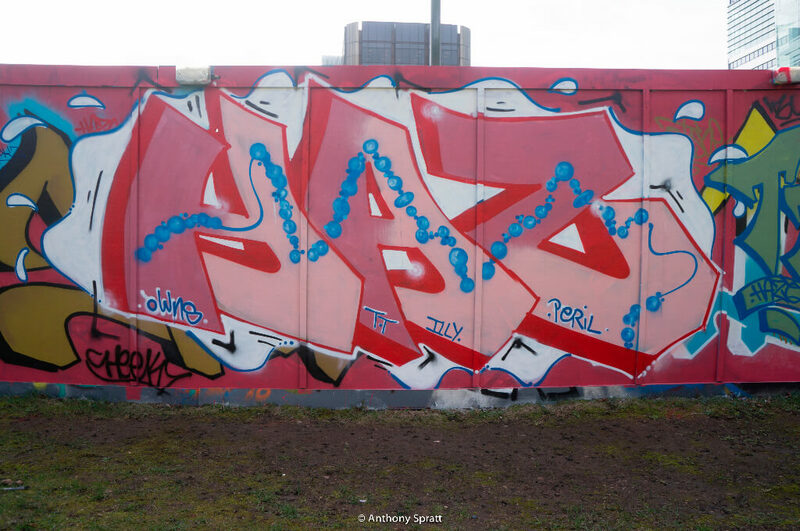 Croydon’s second Legal Graffiti Wall has proved popular with local writers and is updated on a regular basis. 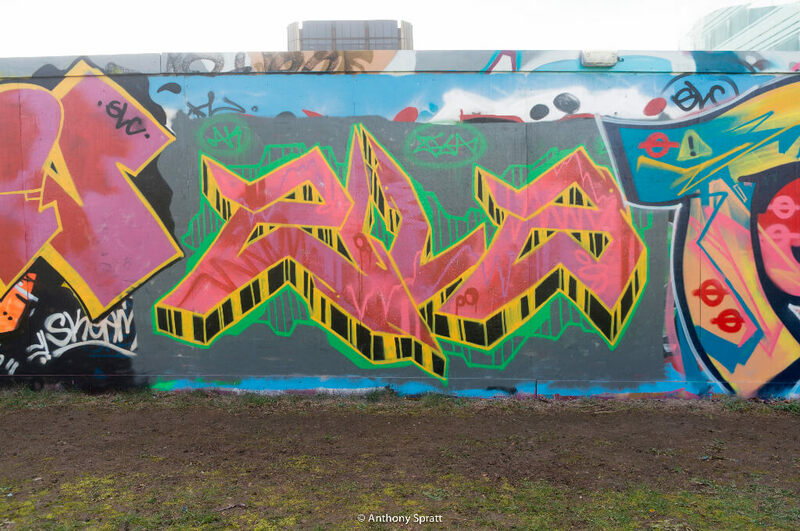 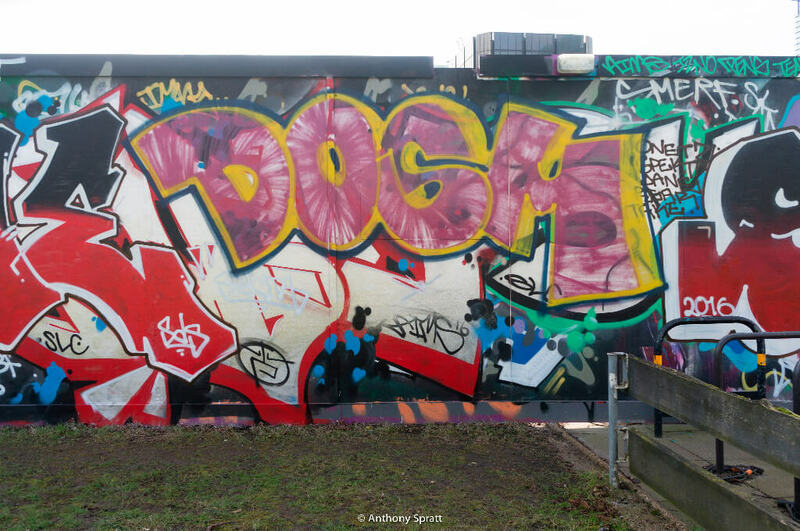 Many local experienced writers and taggers have made their mark and lesser skilled writers have used it to practice and hone their can skills. 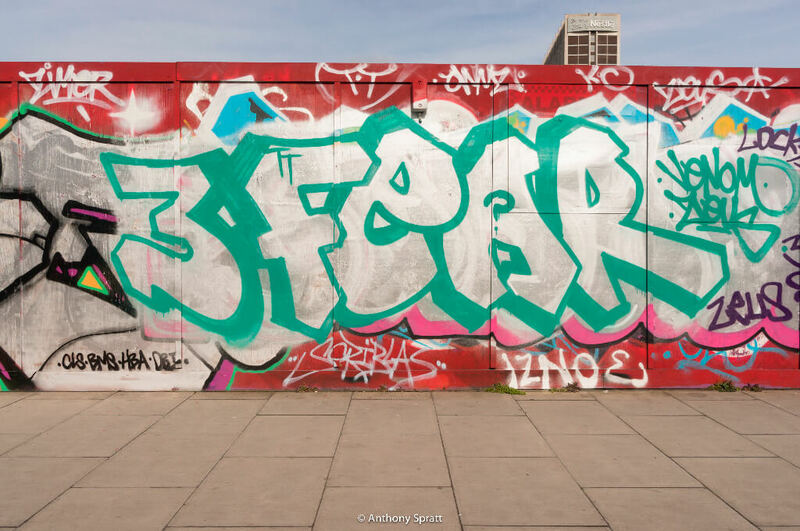 Without the fear of being fined, arrested or community interference it has evolved to be a mixed bag in quality of peaks and troughs. 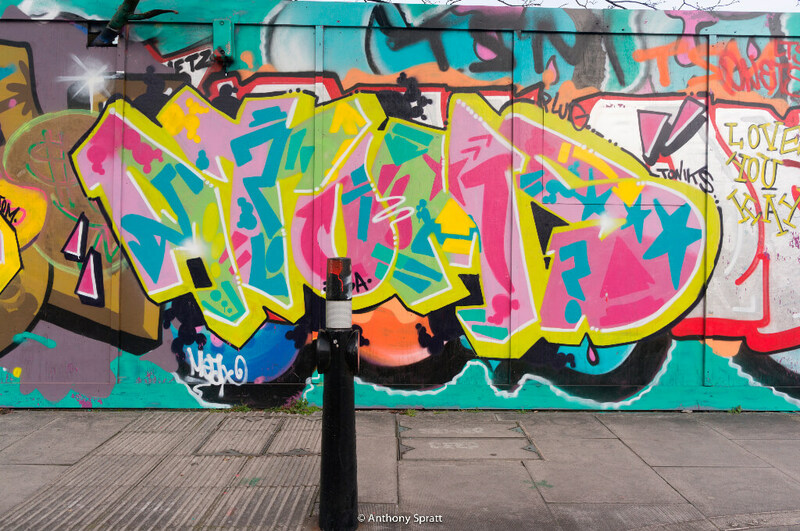 It has also divided opinion with the residents of Croydon and beyond. 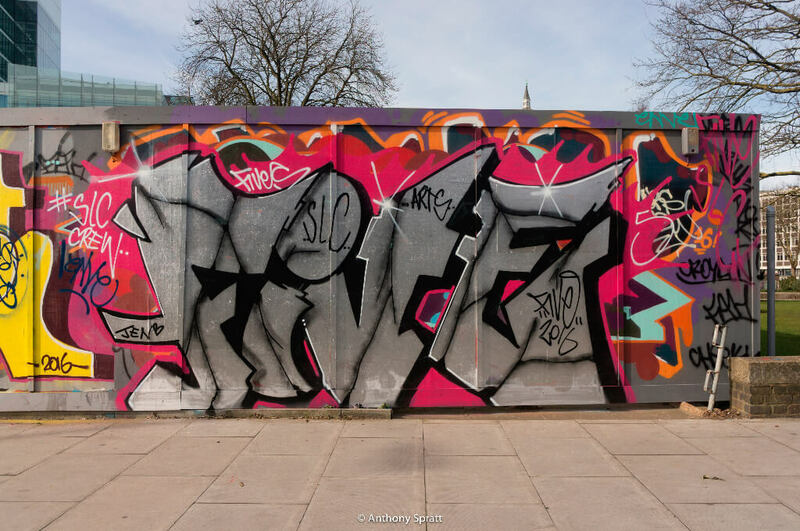 Even the founder of the Arts Quarter has distanced himself from the project which had an awkward fruition. 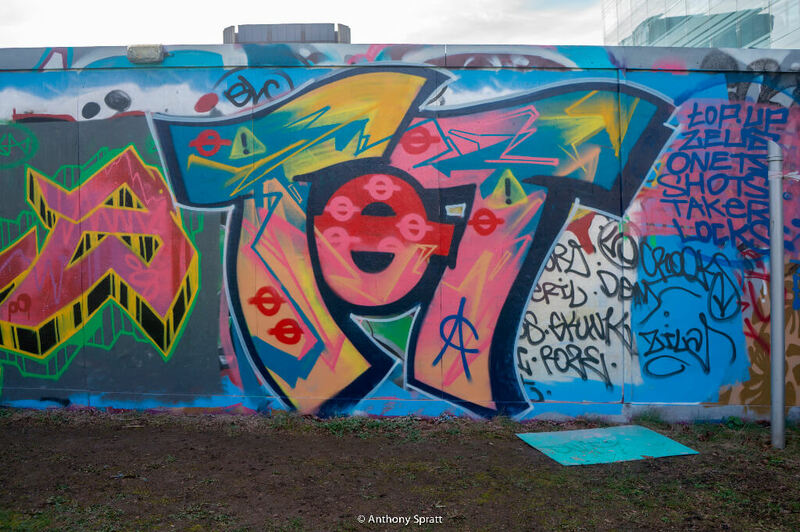 Croydon’s first Legal Graffiti Wall, which could be found at the East End of St. Georges Walk was created because of the infamous tagging of the Femme Fierce murals at the start of Croydon’s Arts Quarter, now rebranded as the Croydon Mural Project. 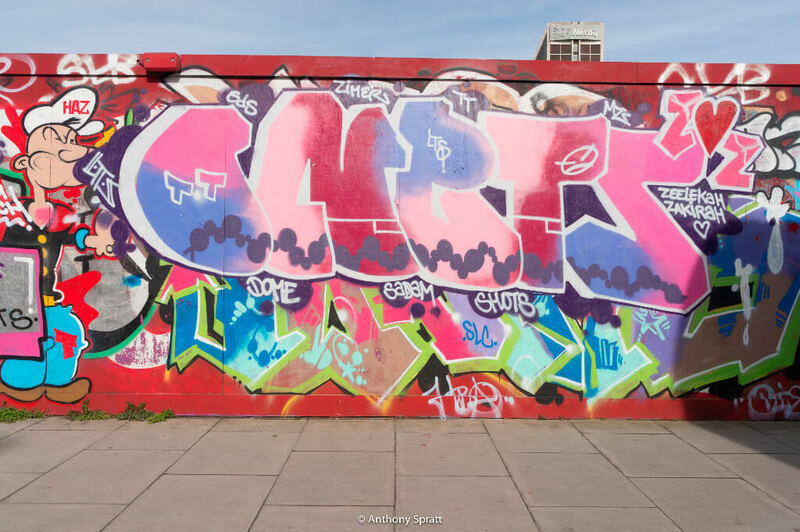 It was this incident that caused a huge reaction from the local press and community who were won over by Kevin Zuchowski-Morrison’s vision, passion and hard-work at changing the fortunes of this forgotten corner of Croyon’s High Street. 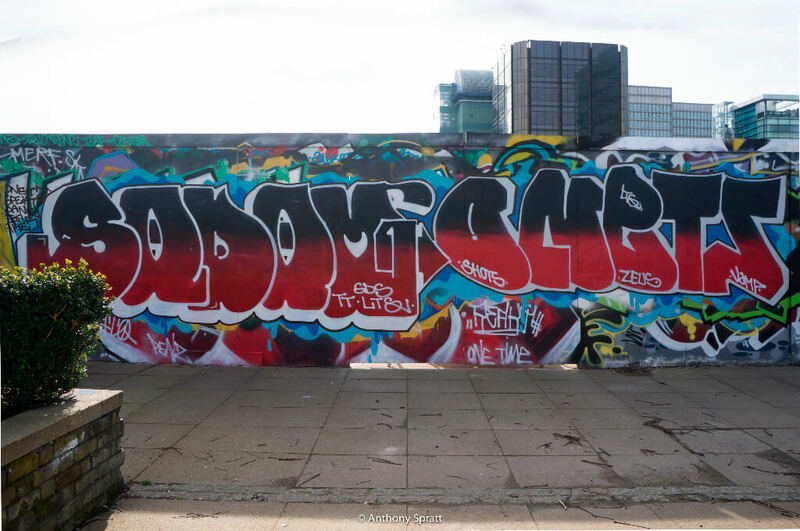 Whatever your feelings about the prominence and quality of the graffiti on the Legal Wall I believe it necessary. 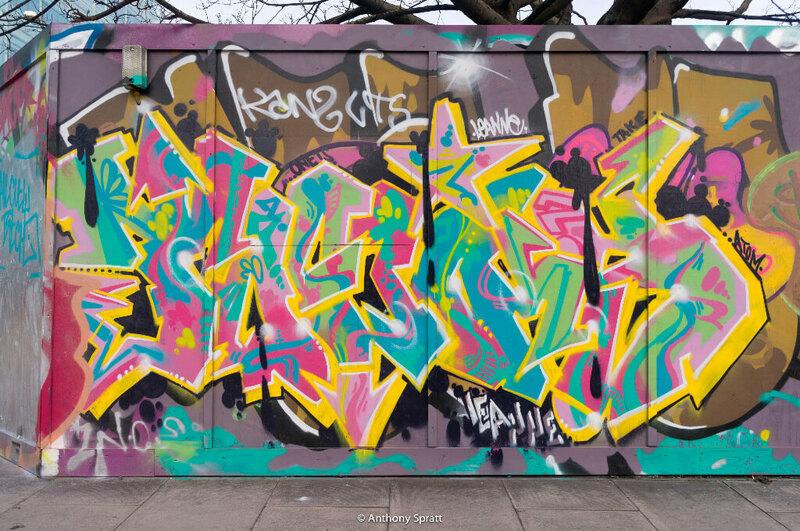 Street Art and Graffiti are inexplicably linked. 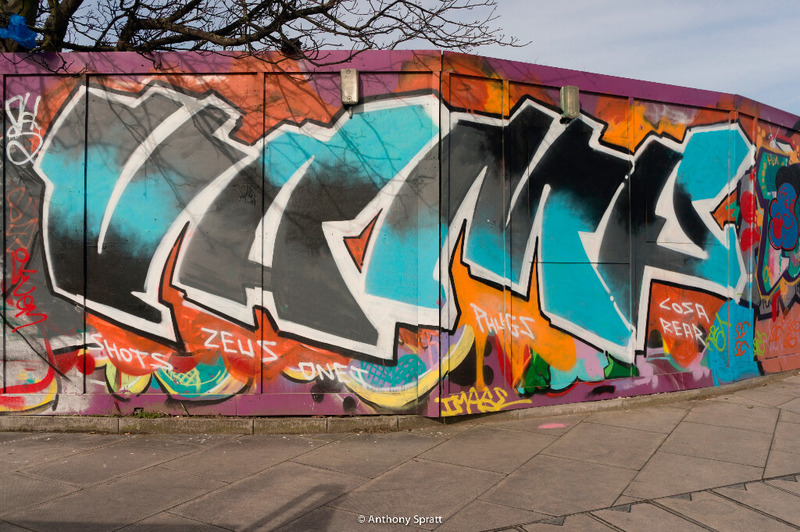 Graffiti will always play an important part in any urbanized area where there is disaffected youth who feel they have no voice and wanting to rebel against some aspect of society. 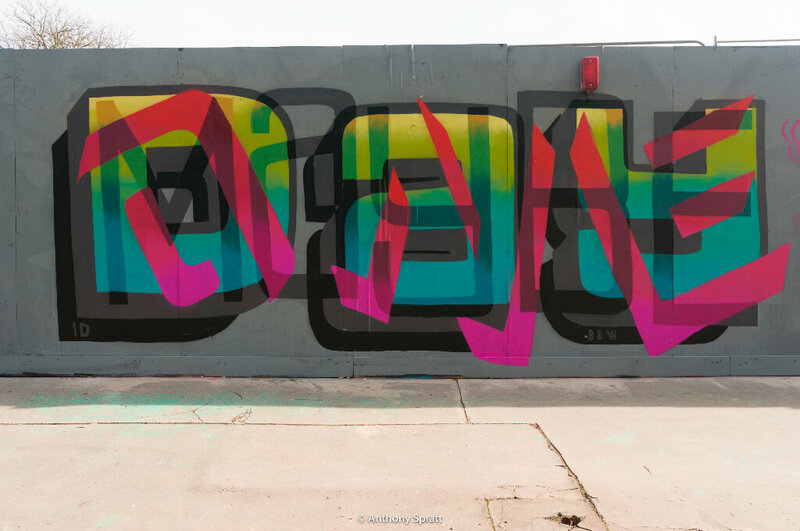 It can also evolve into commissioned mural painting and street art so can be a force for good. 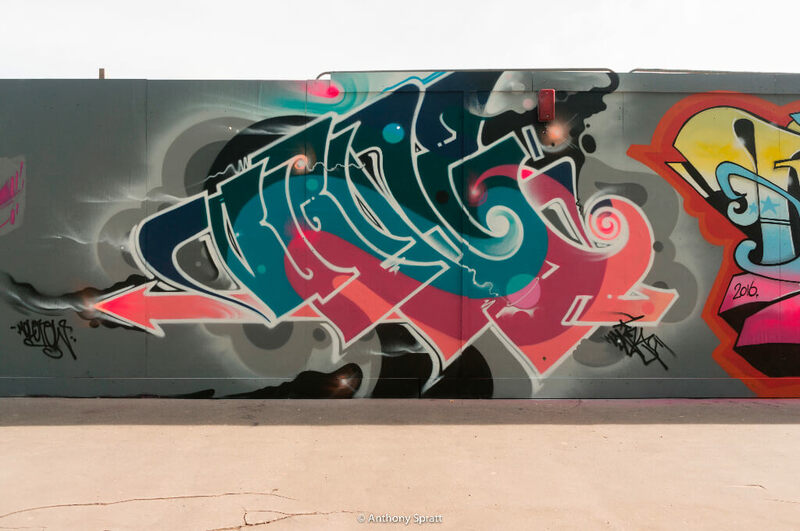 Graffiti refers to any drawings, scribbles, messages or ‘tags’ that are painted, written or carved on walls and other surfaces. 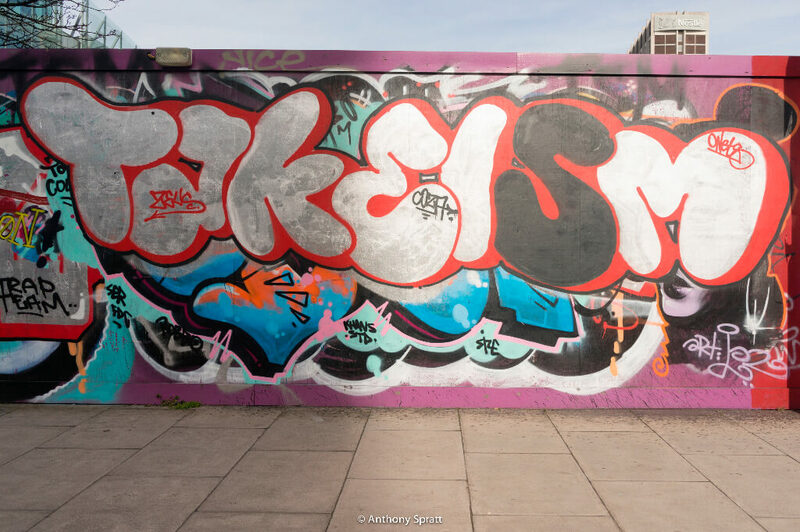 It can attract littering and vandalism, cause residents to lose pride in their area, and make a neighbourhood feel unsafe. 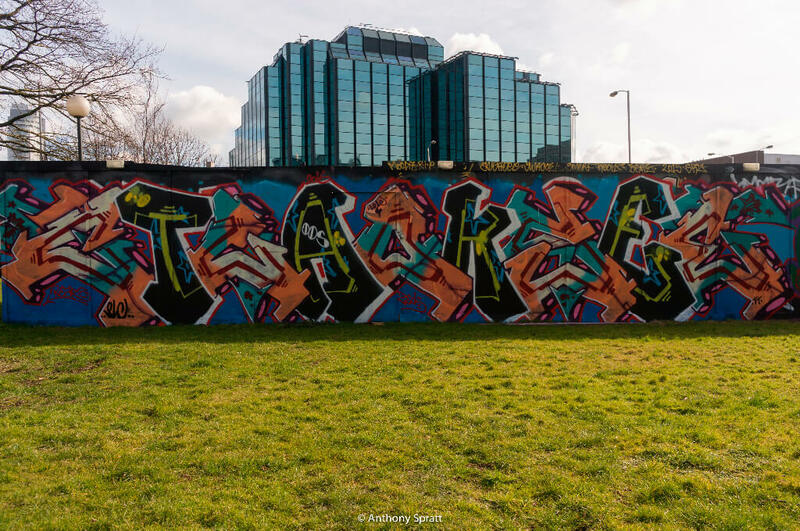 Adding some colour to a brutalist 60’s skyline isn’t necessarily a bad thing or to the hoarding of a recently demolished relic. 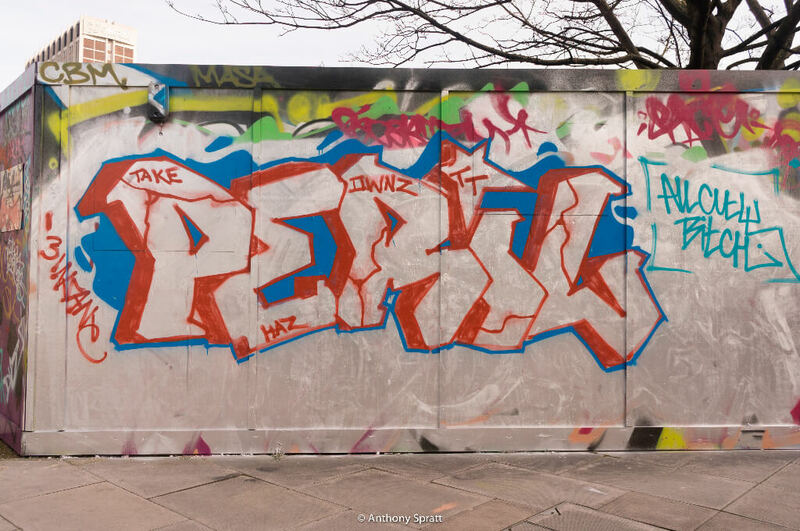 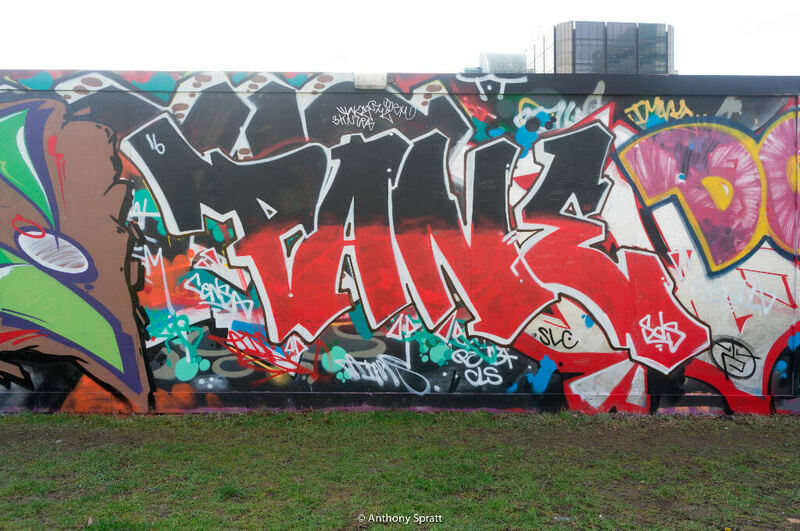 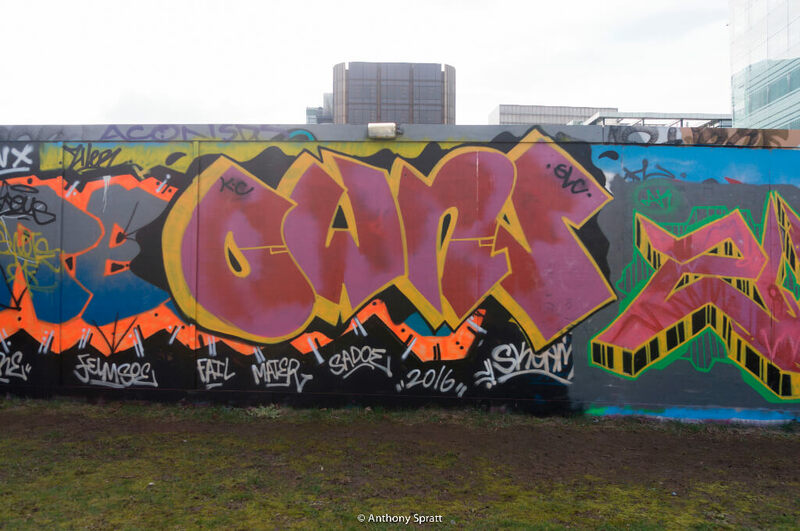 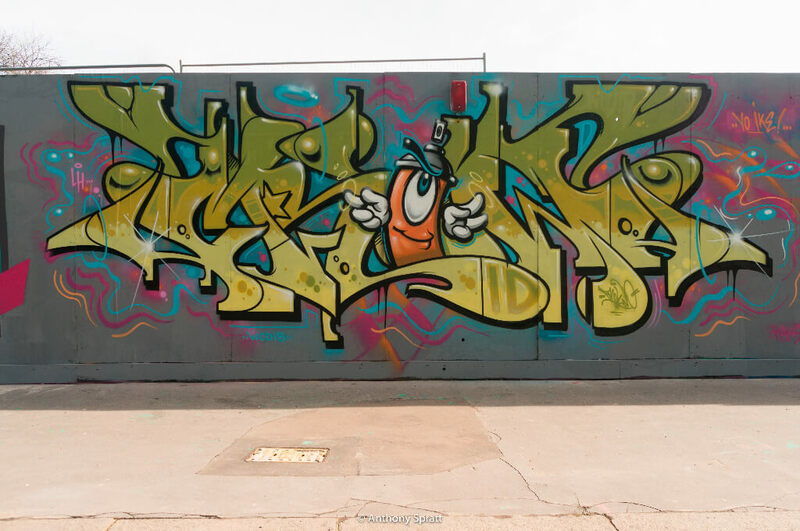 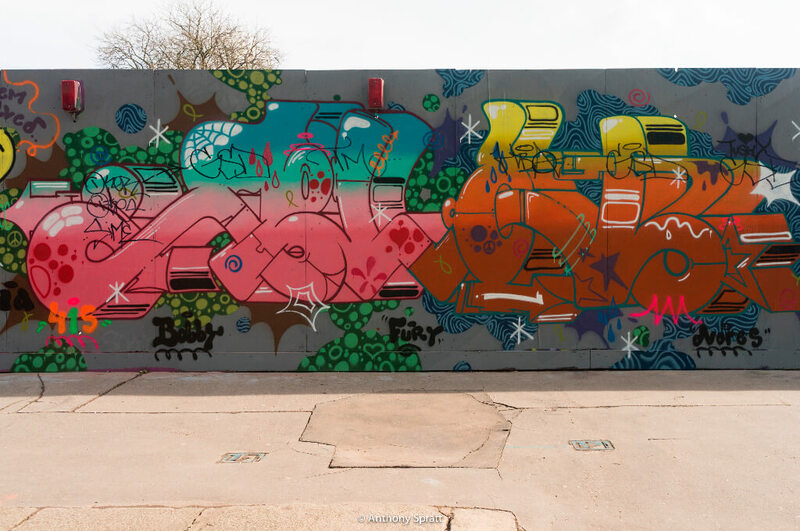 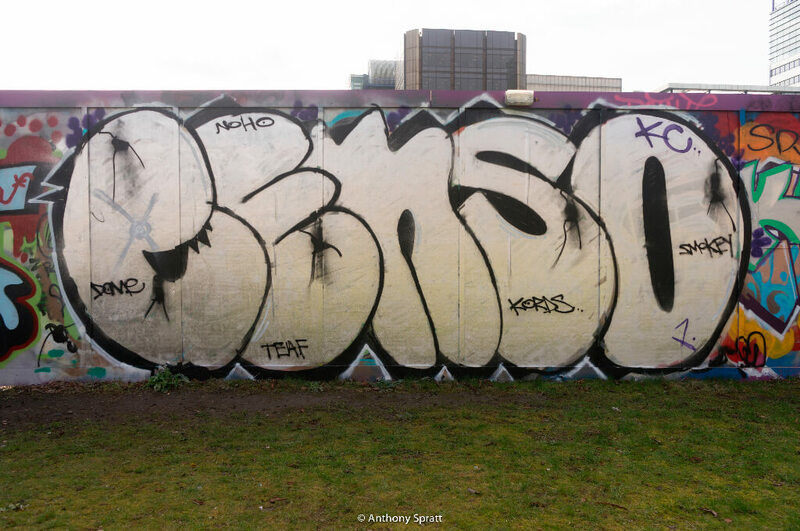 Thank you All City London with a little patience and persuasion the Legal Wall – while it stands – could help change the communities perception of graffiti. 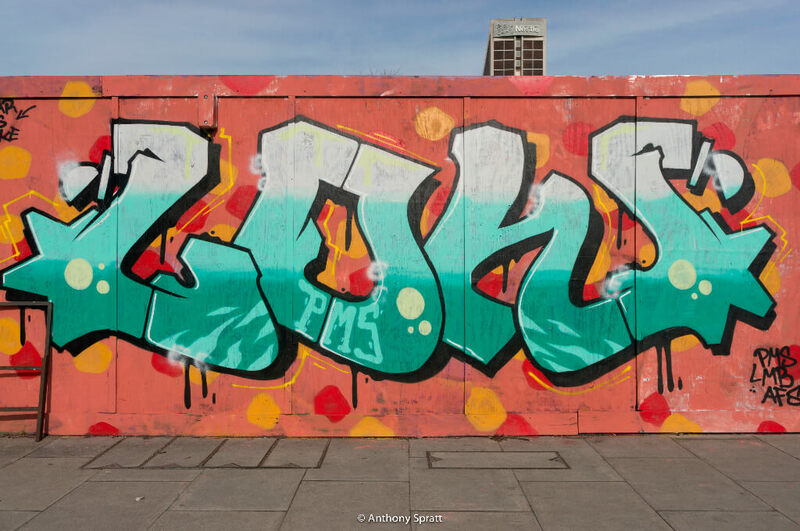 All City London can be found @ 2 St. Georges Walk and are always happy to answer your questions and deal with any requests.